When it comes to the display of photography, there are certain undeniable truths. Higher resolution is preferable to lower resolution. Higher contrast is preferable to lower contrast. More accurate color is preferable to less accurate color. And most serious photographers take photos that are in the 1.5:1 aspect ratio common to digital SLR cameras, so a slight widescreen aspect ratio is desirable. For years, the common answer to the photography question was to recommend a high-resolution 4:3 projector, such as an SXGA+ model. These were typically expensive, heavy, had lousy contrast, and were tailored for business display (meaning they had lousy color). The 1.33:1 aspect ratio of SXGA+ meant you'd lose resolution on the top and bottom due to black bars. All in all, they were not fantastic choices for photo display. Later, as prices came down, the recommendation was shifted to 1080p home theater projectors, which possess the first three qualities in spades. Their 16:9 aspect ratio is wider than a photograph's 1.5:1, allowing photos to be displayed using the projector's full vertical resolution. 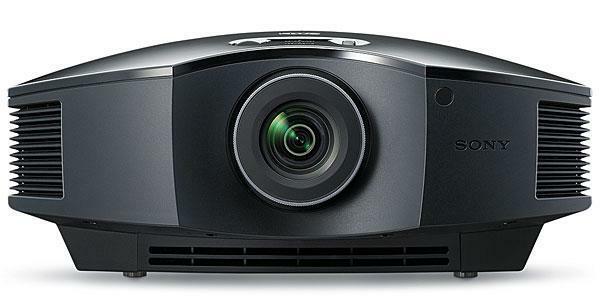 The problem with 1080p projectors is that they were often very expensive and lacked the brightness of the SXGA+ models, limiting display to smaller screens. Now, enter the Optoma EH1020. It is a 1080p projector with a theoretical 3,000 lumen maximum brightness. It has great dynamic range, ensuring your high-contrast photos have plenty of pop. It has excellent color out of the box, and plenty of adjustments if you are only happy with perfection. Perhaps best of all, it only costs $1,499 at retail. For high-resolution data display, such as engineering documents or photography, the EH1020 is an excellent choice. Lumen output. The EH1020 is rated at 3,000 lumens maximum. On our test unit, Bright mode measured nearly 2198 lumens, which proved to be the highest output we measured from this particular projector. Of course, this is optimized for data display, so highlights are emphasized while colors can seem muted and undersaturated. Presentation mode takes some emphasis out of highlights while still keeping the image quite bright; our projector measured 1884 lumens in this mode. For photography, though, you want the best possible color, which is found in sRGB mode. Highlights are toned down quite a bit, but color saturation is much better and contrast gets a boost. On our test unit, sRGB mode measured 1271 lumens in high lamp mode, which is still more than enough for a very large 150" diagonal screen in a darkened presentation environment. On the EH1020, high lamp mode is called "Bright" while low lamp mode is Standard, or "STD." This can lead to some confusion, since there is also an image mode called "Bright," so trying to describe settings verbally could lead to confusion. As far as lamp modes are concerned, though, STD mode causes a 19% drop in light output in all modes, bringing Presentation mode from 1884 to 1525 lumens and sRGB mode from 1271 to 1030 lumens. This is still plenty of light, and many users will prefer the extra thousand hours of lamp life over the increased brightness. Contrast. The EH1020, with its DLP light engine, delivers impressive contrast. Video and photographs with high dynamic range are shown in all of their expected glory, and the integrity of shadow detail is preserved. While black level is not on a level with 1080p home theater products, it was also never designed to be. The EH1020 emphasizes light output rather than deep black performance, making it an ideal choice for brighter viewing environments such as conference rooms, classrooms, and photography club meetings. And while black is not comparable to the inky depths present on HT machines, the impression of snap and overall solid dynamic range is not negatively affected. Loved this review, thanks! I was looking for an affordable 1080p projector and needed some actual in-depth commentary from someone who knew projectors. Hello, I'm using this projector in a vertical position, (projecting over a table) but there's no warnings or info about the ventilation in this position on the user manual...do you know if there's a problem with that if I use it for a long time? Do you have any suggestions about similar projectors that can work in vertical installations?